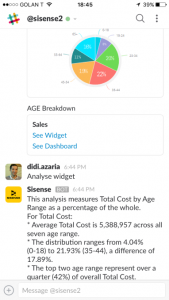 Sisense, the Business Intelligence (BI) dashboards company is betting on conversational bot interfaces as the next step in simplifying analytics for companies, and bringing it into everyday work environments. They had earlier announced integrations to help users converse with popular apps bringing natural language queries to apps such as Slack, Skype, Facebook Messenger and Telegram, and Amazon’s digital assistant Alexa. Today, Sisense announced a strategic partnership with Narrative Science, a leader in advanced natural language generation for the enterprise. With this partnership, Sisense will leverage the Narrative Science APIs to power Sisense Everywhere, an app designed to allow business users consume data by bringing it into their natural work environments. The companies will be demonstrating the joint technology at the Gartner Data and Analytics Summit on March 5, 2017. 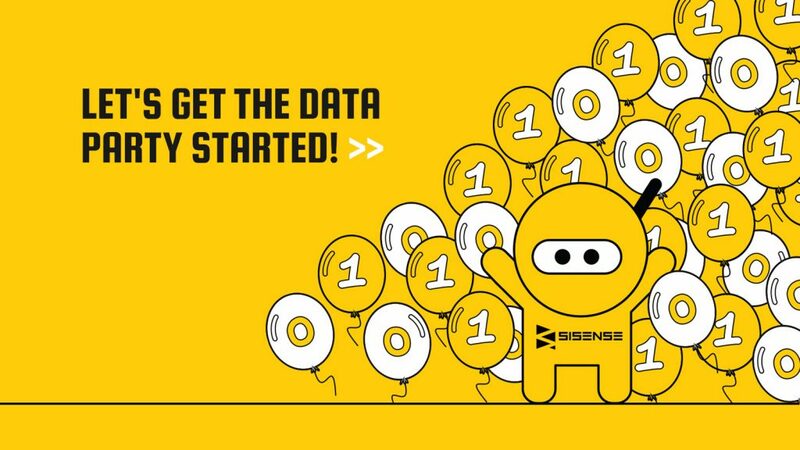 Sisense Everywhere will allow users to connect with their data by engaging in two-way conversations on their platform of choice, said the announcement. The Sisense platform integrates Narrative Science’s Advanced NLG technology to automatically transform users’ data and visualizations into Intelligent Narratives. Instead of having to interpret complex analytical dashboards, users can simply ask relevant questions and receive real-time answers in natural language. While BI has traditionally been focused on technically savvy users and IT, Sisense says it is advancing its mission to make BI accessible for all business users, enabling them to make fast, data-driven business decisions. “The Business Analytics market is on the brink of transformation. The use of artificial intelligence in our platform and Narrative Science’s NLG technology is evidence of how machine learning is being used to make BI accessible to all business users,” said Amir Orad, CEO of Sisense. Instead of being tied to your computer, you can now interact with virtual assistants to understand the ‘why’ behind business performance wherever you are, said Narrative Science in a blog post announcing the partnership. “The next generation of business intelligence includes AI-powered conversational interfaces that revolutionize the way people interact with these powerful applications,” said Stuart Frankel, CEO of Narrative Science.